Babywearing is an extension of your arms, wrapping you and your little one in love! Learn about the variety of carriers available. Learn the babywearing basics and important safety knowledge, on how to properly and comfortably wear your baby. Learn a basic front carry with a woven wrap. Try other types of carriers that may interest you. Receive help with a carrier you already own. Receive ongoing support when purchasing babywearing carriers, and while growing into your babywearing relationship. Receive a follow-up email with everything you've learned in your class. Receive a list of resources including links to your local support groups, along with educational videos, and retailer websites for all of your babywearing needs! Bring it Baby - Babywearing Services. Vanessa will be providing scheduled classes, which will educate you on the various carriers and wraps to help get you started. 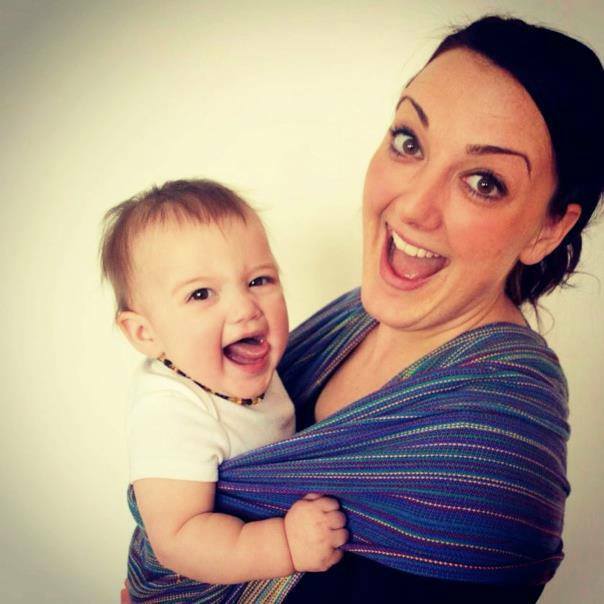 Our Certified Babywearing Educator, Vanessa Shynkaruk, provides one-on-one, in-home, private consultations, group sessions, and classes. She'll bring her supplies which include a variety of wraps for you to try as well as a demo doll to practice with, if you would like the option. Woven wraps are Bring It Baby's specialty, however Vanessa can assist with many other carriers. Classes may be conducted in various locations or held at Full Circle Birth Collective's Edmonton office. The fee for a scheduled class varies according to class, which lasts 1.5-2 hours and covers yourself, plus one additional person interested in learning (i.e.. your partner, a family member, another mama friend). If additional individuals would like to join your class with you, an extra $30.00 per person will be charged. Advanced classes are available for those seeking more in-depth babywearing knowledge. If you'd like to grow beyond the basic skills of carrying then this class is for you! Contact Bring it Baby below, since these sessions are scheduled only upon request. Book a babywearing group class for $30.00 per individual or $50.00 per couple, with a secured maximum of six people in total. You're bound to share some laughter and have a great time during this class! Please note, in order to secure your participation in a class all payments must be received in full via Interact e-Transfer, unless a previous arrangement has been made with your Bring it Baby babywearing educator. Please send your email money transfer or PayPal to bringitbabywearing@gmail.com .